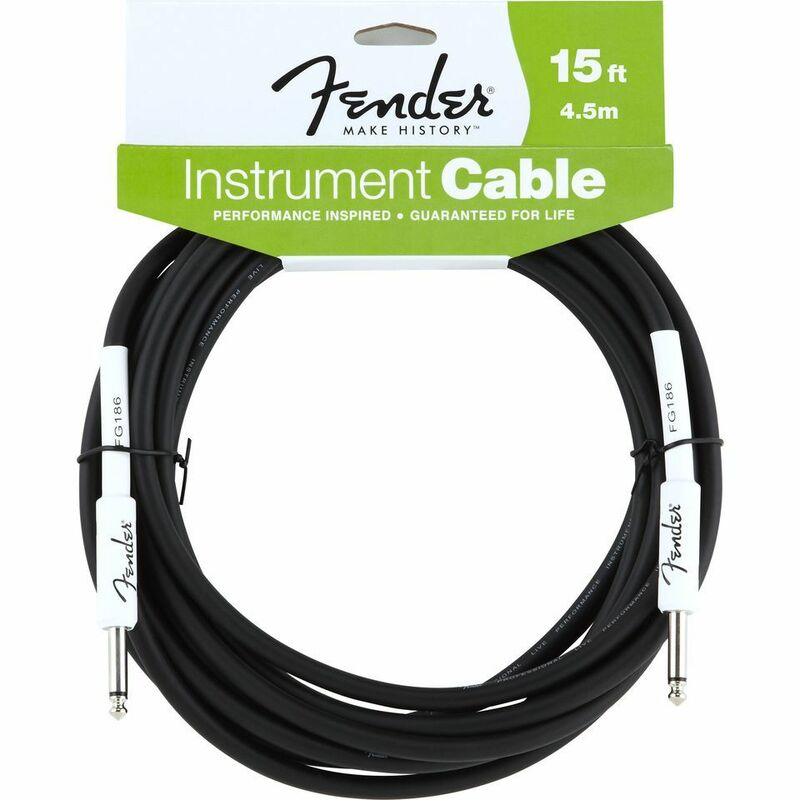 The Fender Performance Series 6.3mm (Unbalanced) Mono Jack Cable 4.5m offers true transparent reproduction qualities with a pliable design. The Performance Series Cables provide musicians and studio professionals with a high quality cable featuring hand-soldered, rugged metal connectors for reliability. An extra-thick 8mm black PVC jacket reduces handling noise whilst a flexible construction alleviates kinking. Additionally, a 90% copper coverage shield offers less noise interference.